If someone asks who is the greatest hockey player in the history of the game, the majority of people will say Wayne Gretzky or Mario Lemieux without the slightest hesitation. Then an intense debate will ensue to determine which one is the best. The distance between those two and any other player is pretty significant. So, who can be in the same category in the future? It turns out there is a reason why many proclaimed Sidney Crosby to be "the next one", but legends are not made on potential. They are made through skill. They are made through championships. They are made through jaw-dropping, memorable moments. Most importantly, they are made through luck. Crosby became the captain of the Pittsburgh Penguins in the 2007-08 season. He led the Penguins to the Stanley Cup finals, where they lost to Detroit. It only took until the next season for Sid to guide the team to its first Stanley Cup since the 1991-92 season. 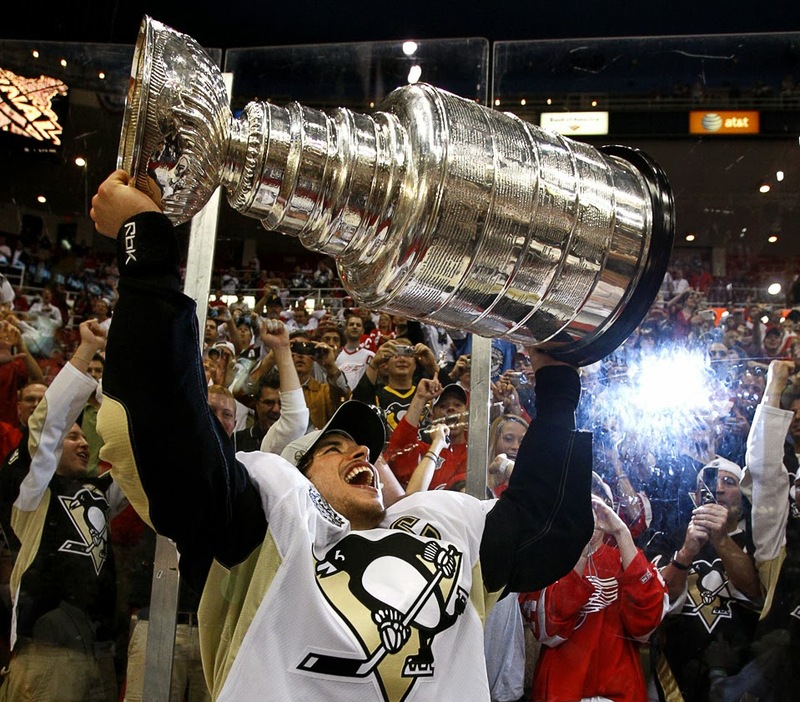 At 21 years of age, Crosby became the youngest captain to win a Stanley Cup. He followed that up by winning a share of the Rocket Richard Trophy in the 2009-10 season as well as the Mark Messier Leadership Award. He had earned more hardware in his first five seasons than most teams have collectively. Then he did something that not even Mario Lemieux or Wayne Gretzky had ever done. He led the Canadian Olympic hockey team to its first gold medal since 2002 when he scored the "Golden Goal" in overtime against the United States. At this point, Crosby's legendary status seemed to have no limits. What else could he possibly do? Where would he go from here? The expectations for the 2010-11 Pittsburgh Penguins were through the roof. The team was coming off of a recent Stanley Cup win. It returned the best player in the world, and arguably the second best player in the world. Crosby picked up where he left off the prior season. He was storming through the NHL. He had a 25-game point streak where he averaged two points per game. It made for great theater leading up to the Winter Classic at Heinz Field in Pittsburgh on New Year's Day. Sid's life changed forever that night when he took an inadvertent elbow to the head from David Steckel at the end of the second period. It was believed at first to not be very serious. He even came back to finish the game. He suited up for the Pens' next game against the Tampa Bay Lightning just four days later. In the second period of this game, Victor Hedman lined up Crosby for a hard check, bouncing Sid's head off of the boards. Hedman was penalized just two minutes for boarding. Crosby, visibly shaken, would again finish the game. The next day, Sid went to Pittsburgh for medical tests, and initially the Penguins said Crosby would be out of action for a week. He wouldn't return for another ten and a half months. When he left in the 2010-11 season, he played exactly 41 games, or half of the season, and was averaging 1.66 points per game. He was on pace for 64 goals and 136 points. In typical Crosby fashion, his return on November 20, 2011 was electric. He scored two goals and two assists as the Pens blanked the Islanders 5-0. On December 5, Crosby collided with teammate Chris Kunitz and took a glancing blow from David Krejci. He went out with "concussion-like" symptoms and did not return to action until March 15, 2012. He had an extended offseason in 2012 to get fully healthy, thanks to the NHL lockout. He was leading the league in points once again when he took a slapshot from Brooks Orpik in the face on March 30, 2013. He suffered a broken jaw, causing him to miss the last 12 games of the regular season, but still finished third in scoring and at the top of the league in points per game with 1.56. It turns out that not too many stars have had the lows Sidney Crosby has had either. No one really wants to talk about it, but people need to realize that retirement had to have been on the table for Sid during that very scary stretch from 2010-2012. In total, Sid has missed 152 games over his first eight seasons, which equates to almost two full NHL seasons. He has been healthy for 472 games and has scored 667 points during that time, averaging 1.41 points per game. To put that into perspective, Lemieux averaged 1.88 points per game and Gretzky averaged 1.92 points per game. Obviously the game has changed since those two played. We are not going to see a 90 goal scorer or 200+ point scorer. In today's game, a player averaging 1.4-1.6 points per game, especially over a career, is elite. It is the equivalent to Lemieux and Gretzky. If Sidney Crosby never played another game, he would go down as one of the NHL's best players. His resume over a relatively short period of time speaks for itself, but to make it on the Mount Rushmore of NHL legends, Sid needs to be more consistent in one area. He clearly has world-class skill. He has won multiple championships if you include his Olympic medal. He has provided a lifetime of jaw-dropping moments in just eight seasons. The one area Sid needs more consistency? Luck. Similar problems to those that afflicted and limited Mario Lemieux's legendary career are affecting Sid's. Gretzky played 20 seasons. Sid is entering his ninth. So, here's hoping we have seen the last high ankle sprain. The last concussion. The last puck to the face. Because the only thing keeping Sid from reaching his legendary potential is a little luck from the hockey gods in the health department.